As his own record label says “Flying lotus has never been one to lead the people on a simple journey”. If this is your first discovery of Flying Lotus (aka Steven Ellison), it will be impossible to define him in terms of genre. The artist’s fifth album You’re Dead! certainly takes the people on a not-so-simple journey – expect the unexpected as ‘FlyLo’ takes you into his own head to explore his perception of life and death. There are definitely intentional moments of chaos, and just when you feel like not hearing any more, the song will slip back into a relaxed and stripped back soulful rhythm. The album’s title becomes obvious as each song progresses. The artist’s own experience of death is quite an honest portrayal of the emotional journey you embark upon when losing someone close to you. The album gave me a sense of how he imagined the moments after his own death – you’re basically taken on his journey; of his life flashing before his eyes. Opening track Theme essentially gives you a teaser of the conflicting nature of everything to come. Like many of the tracks, it is not there to be played on repeat, but to create a flow into the next song – while adding in a sense of confusion and unease. This could be said for the first five tracks of the album. While each are wildly different, all follow a theme of organised chaos – never allowing you to fully relax. The album oozes with jazzy influences, at times giving off a chilled Café Del Mar vibe, which is abruptly chopped up and mixed with a cluttered, glitchy infusions of soft electric guitar riffs, messy brass instruments and subtle electronic undertones. The album takes another dramatic turn with Coronus, the Terminator. While still clashing the slight uncomfortable electronic undertones in the background instrumentals, the introduction of vocal harmonies and a constant beat is in stark contrast to the album’s tumultuous beginnings. Siren Song (Feat. Angel Deradoorian) and Turtles both carry this wispy and dreamlike vibe. Turtles changes the mood instantly with unexpected animal noises and the simple and dreamy female vocals woven in between light percussion. Following vocal features from Snoop Dogg and Kendrick Lamar, you could fall asleep to these tracks and all but forget about the earlier chaos. The album really does use variety in every sense. The fact that electronic sections (to the point of unsettling tetris theme music) can so seamlessly flow from the jazzy instrumental mix of earlier tracks is something that could not be easy to do. 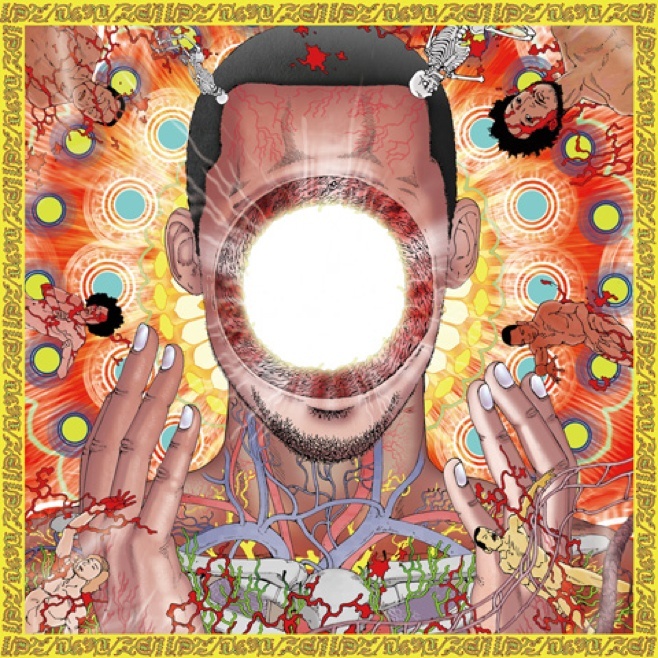 I think Flying Lotus has really succeeded in clashing as many instruments, voices, sounds and genres he could while maintaining a connection and thread of similarity in each track. It seems that he has somehow done this by throwing in a subtle disruption to every track. The jazzy, dreamy and hip hop tracks alike all share a constant unnerving feeling that is not quite right. The album really is like a confusing, relaxing and creepy dream that you kind of want to have again. FlyLo will be in town for St Jerome’s Laneway Festival 2015!